Welcome to our harbour! 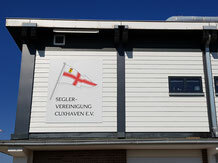 - Segler-Vereinigung Cuxhaven e.V. 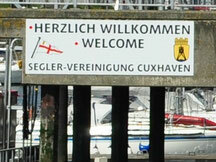 Cuxhaven is located at the mouth of the river Elbe. We are connected over the river to the shipping lanes to Hamburg or Berlin, to the Kiel Canal and thus to the Baltic Sea. Cuxhaven is connected to the whole world via the North Sea. The SVC harbour is very close to the beautiful and impressing Wadden Sea, a UNESCO World Heritage Site. 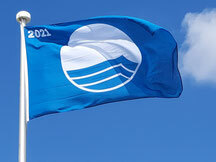 Therefore it is very important for us to promote environmentally adequate behavior by participating in the “Blue Environment Flag” campaign among other activities. Please support our efforts and respect the environment. From our harbour it is only some hundred meters to the borough “Lotsenviertel”. 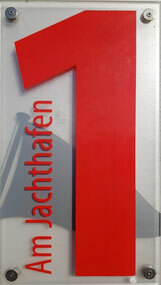 The “Lotsenviertel” is a nice borough of Cuxhaven with shops, pubs, bakeries, restaurants and supermarkets. 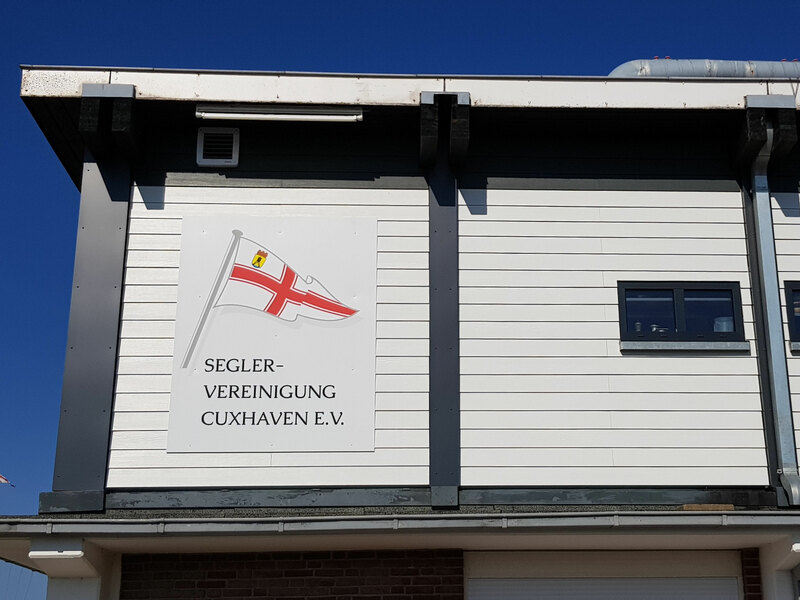 Please ask our harbour master for more information about Cuxhaven and what you can do. The city of Cuxhaven is the most visited coastal resort in Germany with more than 3.5 million overnight stays. There are many things to explore – enjoy your stay! Cuxhaven is the habour to be! At the mouth of the river Elbe, our modern yacht club is the perfect starting point for your journeys into the North Sea, the Kiel Canal (NOK), the Baltic Sea and upstream towards Hamburg. 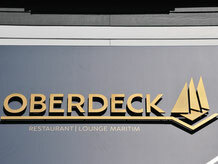 You can reach our harbour at day and night-time. Please pay attention to the sideward current at the harbour entrance. The berthing complex consists of three main pontoon structures. Information signs for arriving boats are located at the end and in the middle of the berth complex. 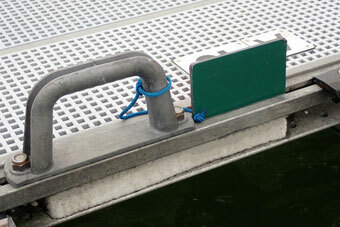 They show where you can fasten your boat securely depending on size. Berth vacancies are indicated by green signs in the individual berths. 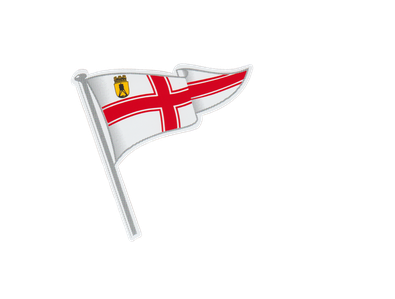 Please only enter boxes with a green sign and fasten your boat in accordance to the rules of good seamanship (spring lines are to be used). 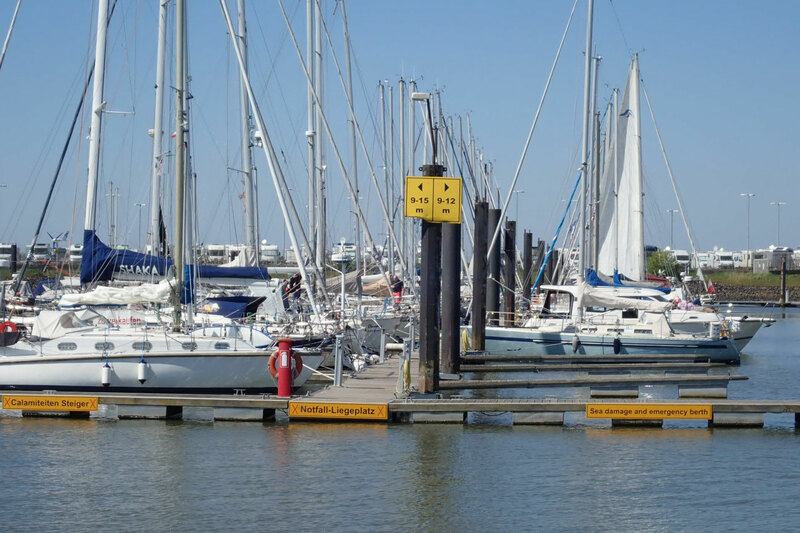 Don't block the way on the pontoons with anchor or pulpit ! Please ask the harbour master how long you can stay in the free berth and leave your address and mobile number in the office.